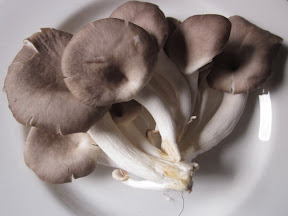 This is the inexpensive mushroom that available all year round, even in winter. It is widely used in the Restaurants because they keep longer than Straw mushroom and they can replace each other in dishes. You will see them in Tom Yam or Tom Kha or in Stir-Fry with mixed Vegetables. People in the North-east will steam them with lemon grass and Thai Basil and salt and have them as vegetable that we eat with chili sauce. You can deep fry them, grill them or shortly boil and add them in spicy salad because they taste a bit sweet. They are also very healthy, containing only 35 kilocalories per 100 grams. There for they are suitable diet for people who don’t want to gain weight. Thanks for the nice comments. Please do subscribe the RSS feeds.